It takes time to develop hazard perception skills. The best way to achieve them is to get plenty of driving experience across lots of different driving situations. This is how more experienced drivers have developed their hazard perception skills. Because they have these skills, these drivers are involved in fewer crashes than less experienced drivers. The headings relating to these three basic hazard perception skills are shown in the yellow tabs in this section. Each section outlines a basic hazard perception skill area. This is followed by a key point summary and suggestions on how to develop and practise this skill. Remember that practice on the road is essential to the development of sound hazard perception skills. you then try it with you as the driver. This is to help make the exercises easier to learn and safer to do. 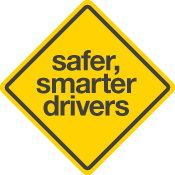 Involving a more experienced driver allows you to get some feedback from drivers who have more developed hazard perception skills. You can't learn them properly from a book or a website. It's a bit like learning to play tennis or cricket, books and websites can help you, but you need to get out there and practise to develop and improve your skills.